Details: 4 BR, 4.5 BA Beachfront Home with 3900+/- sq. 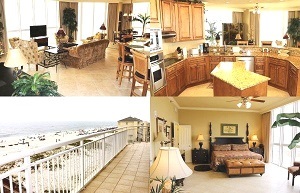 ft.
Oceania condo, beachfront resort home in Gulf Shores. This gulf coast resort home has nearly 4000 s.f. of incredible luxury! Oceania has only 1 residence per floor, with elevator access directly into your private foyer. Enjoy incredibly amazing views of the gulf from the 4th-floor wrap-around private balcony. Over $10,000 in upgrades including window tinting. gourmet kitchen with custom cabinets, high-end stainless steel appliances, large fridge, 5 burner cook-top, and granite counter-tops. Each spacious BR has its own bath and balcony. Master BR has incredible gulf views, balcony, bath with double vanities, granite counter-tops, separate shower, a jetted-tub and a walk-in closet. Plus two guaranteed parking spaces, one covered. True luxury, one of a kind complex…don’t miss this home. 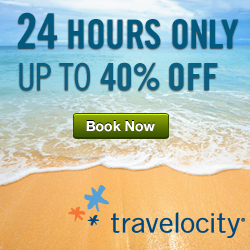 Visit >>> Oceania Condos in Gulf Shores AL.